Ima on (and off) the Bima: Real-Life Jewish Parenting: #BlogExodus - Chodesh Tov! Nisan comes and it's like the world opens up. The new moon of Nisan is only 15 days from the moment of the Exodus...it takes only a few moments for freedom to come, but a lifetime of lifetimes to truly believe in it. 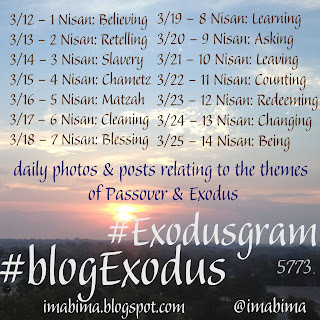 With the beginning of Nisan also begins #BlogExodus for the next 2 weeks. (More on that here.) All you have to do is use the hashtag and there are suggested prompts on the graphic (feel free to grab it). 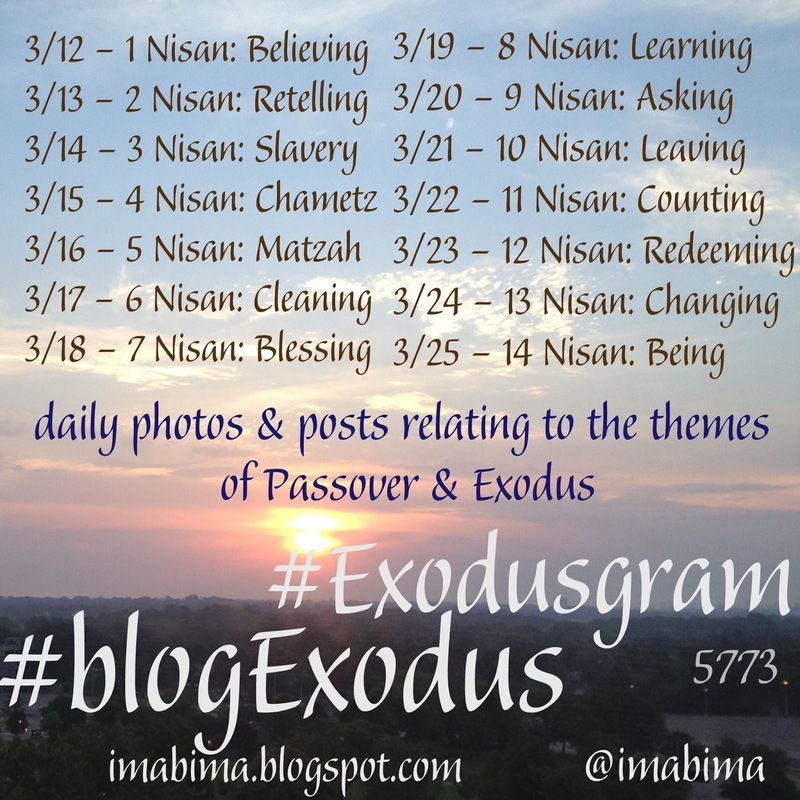 Maybe you just want to post on your Facebook or Twitter about these topics...or maybe you want to try #Exodusgram, a new idea to post photos related to these themes? Read more of my #BlogExodus posts over at my other blog, rabbiphyllis.blogspot.com, my #Exodusgram pictures on my tumblr site, imabima.tumblr.com, and other miscellaneous Passover posts here at imabima.blogspot.com. It's going to be a busy fortnight!